After visiting Virginia Beach for just under a week, I went home for two days, repacked my bags, and flew to Germany, where I participated for three weeks as a part of the GAAP German Exchange Program. Remember, in this post you can click on any picture to make it larger. I stayed with Anna Martin’s family, who we hosted in Chicago in April. 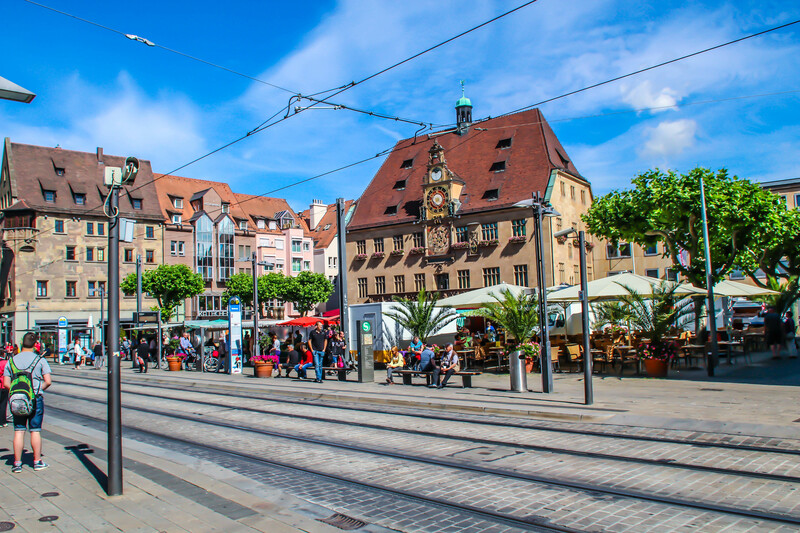 For three weeks, I lived in Heilbronn, Baden-Württemberg, a town of about 120,000. 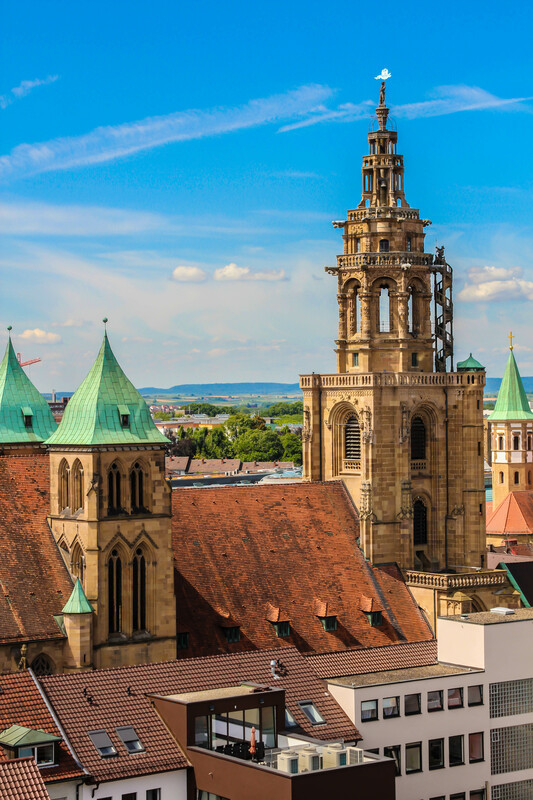 Heilbronn is well known for its red wine, located in the Neckar Basin along the Neckar River. In fact, the Heilbronn flag symbolizes white wine, red wine, and drunkenness (blau in German means both blue and drunk). Heilbronn also is a mining town, with massive salt mines. In fact, the city has more road underground (700 km) than above ground (500 km.) The mines were used to house stolen art during World War II. 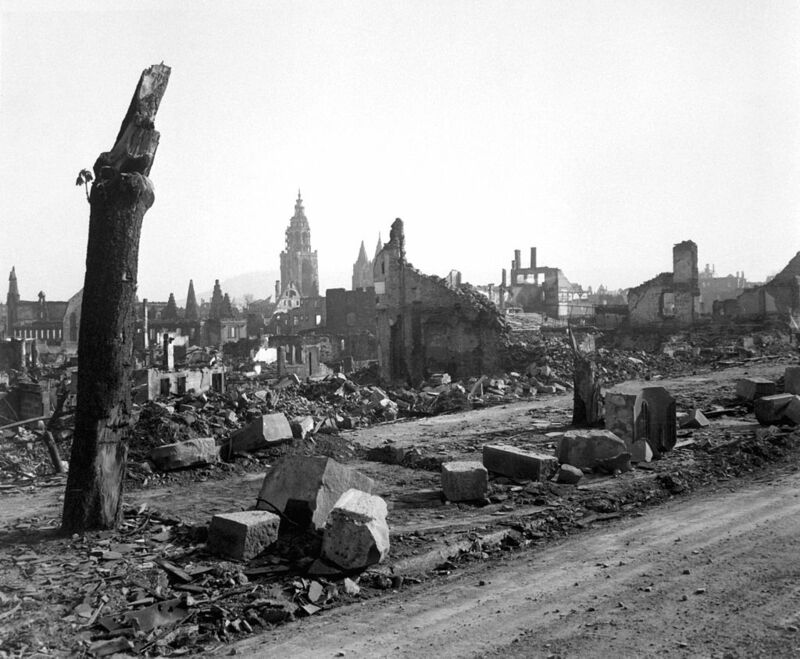 Heilbronn was bombed in December of 1944. 6,500 residents were killed, and the town was completely destroyed. 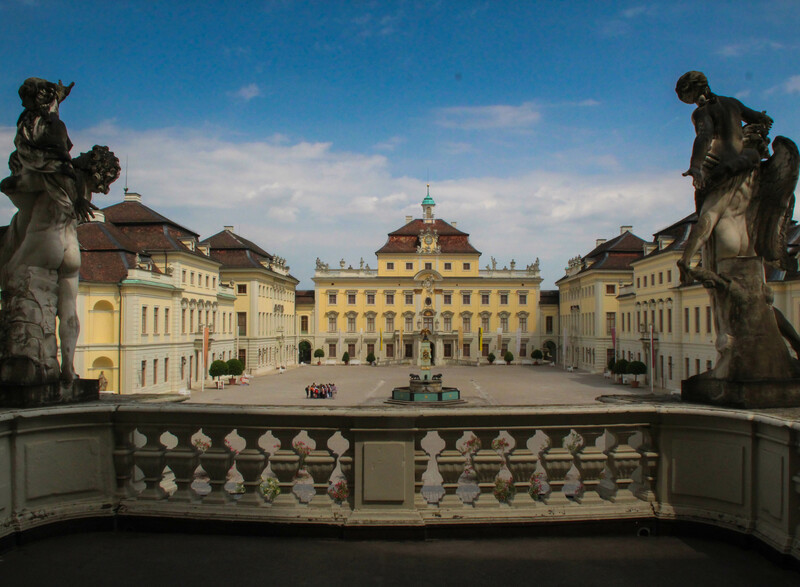 Only a few buildings, including the Rathaus and church (famous for its tower), were rebuilt. I really enjoyed Heilbronn Innenstadt (or downtown.) 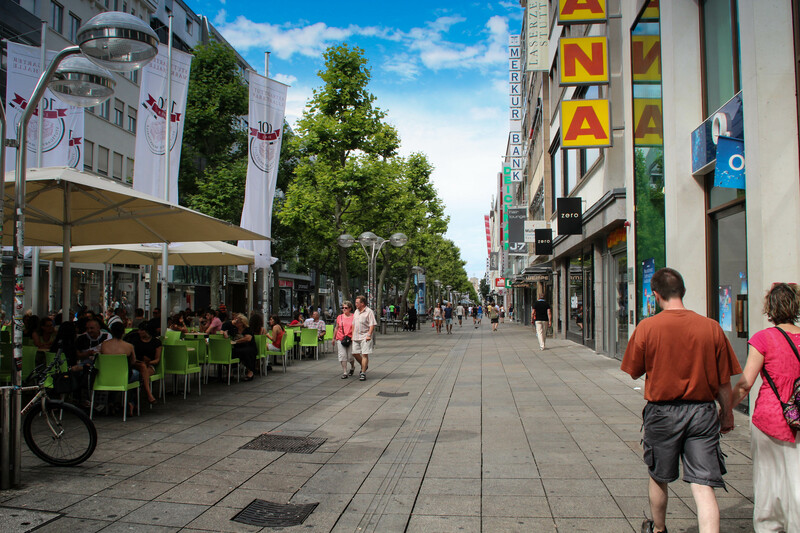 The whole area was a pedestrian zone, only buses and the S-Bahn could go through. This provided lots of outdoor space for restaurant seating, playgrounds, and just generally created a more relaxed environment. I wish downtown Evanston was pedestrians only. In the next section, I’m going to talk about the places I visited in Germany, and then I will talk about the cultural differences between the US and Germany. 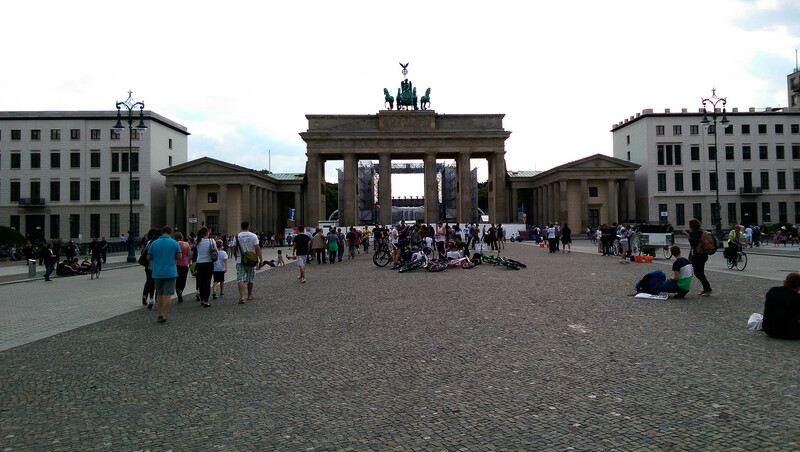 After staying in Heilbronn for two days, we visited Berlin, the capital of Germany. 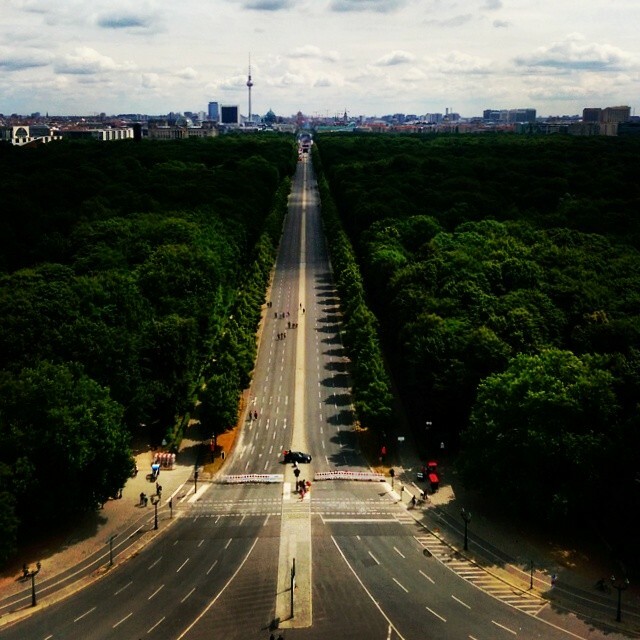 We saw so much in Berlin that I will just discuss a few of the highlights. 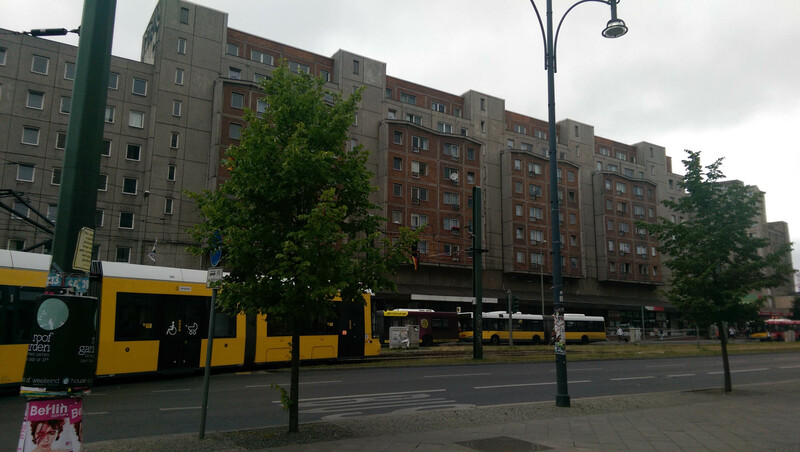 There was still a huge difference between East and West Berlin, although not apparent at the border, all West Berlin felt like a European city, while East Berlin felt very communistic, with huge drab apartment blocks. 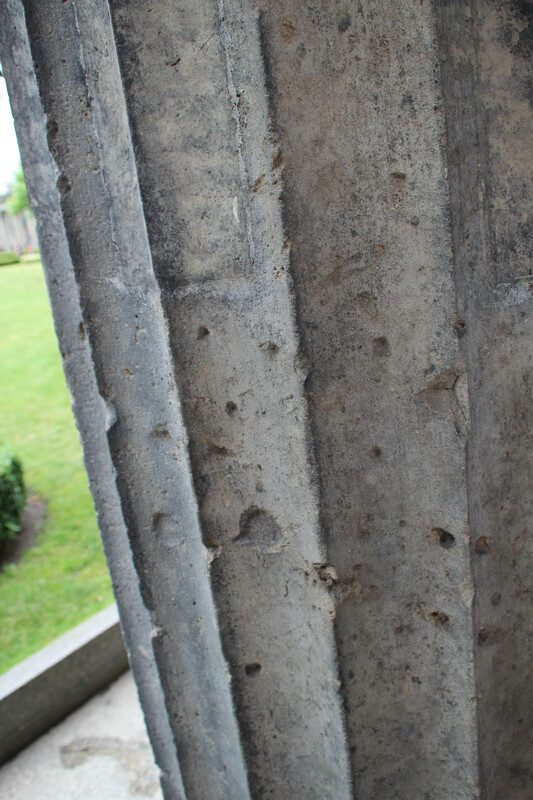 The city also has constant reminders of World War II, for example, with many older buildings still have bullet holes in them. Additionally, a famous church, known as Gedächtniskirche is still left in ruins as a reminder of the war. In East Berlin, we visited a political prison. Our tour guide had been a former inmate of the prison, incarcerated for having blue hair. He told us about another inmate, a young girl, who put on lipstick and received a sentence of over 20 years. He spoke to us about how inmates were psychologically tortured: they were never told their sentence lengths. One tactic guards used: they would take an inmate out of a group cell, shoot a gun and transfer him to another cell. The other prisoners would think he was killed. We also visited three bunkers left from the the cold war period. My favorite attraction in Berlin though, was the Reichstag. 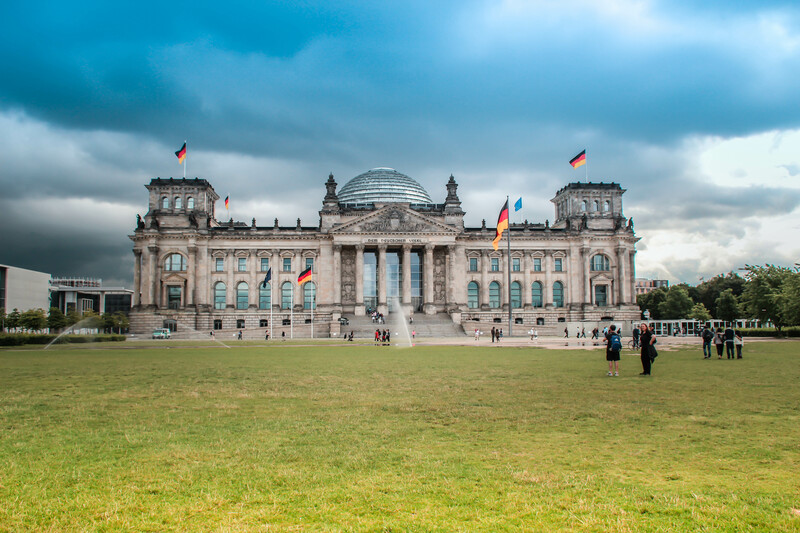 The Reichstag is the seat of the Bundestag and the capitol of Germany it is an important symbol as it was never used by the Nazis due to a fire in 1933.After the German Reunification in 1990 it was decided the Reichstag should be the seat of the new German Government. It was renovated from 1992 to 1999 and began use as the capitol. 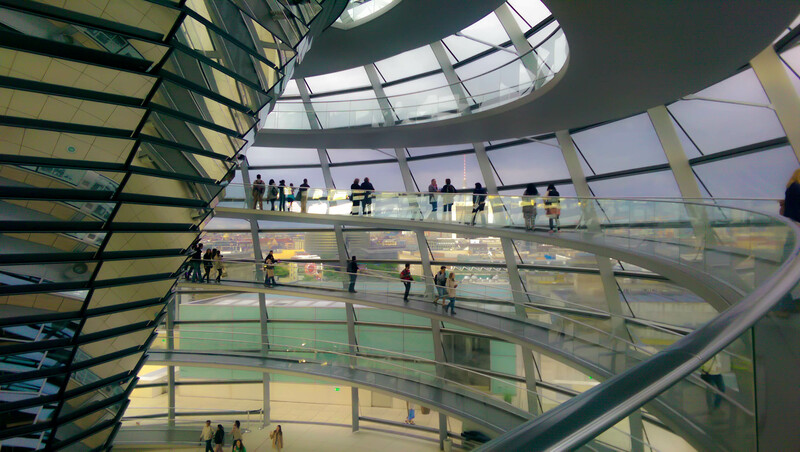 There is a huge dome on top of the Reichstag, where we saw sweeping views of Berlin. From inside the dome, one can look down into the room where the Bundestag meets, symbolizing government transparency. The building is powered completely from wind and solar energy. While in Berlin, we also visited the Hauptbahnhof (main train station), the largest train station in Europe, and The Brandenburg Gate, the site of the world cup public viewing. Berlin was awesome, the city has a lot of history, we didn’t have nearly enough time to see everything, and I hope to go back soon. We also took a trip to Strasbourg. 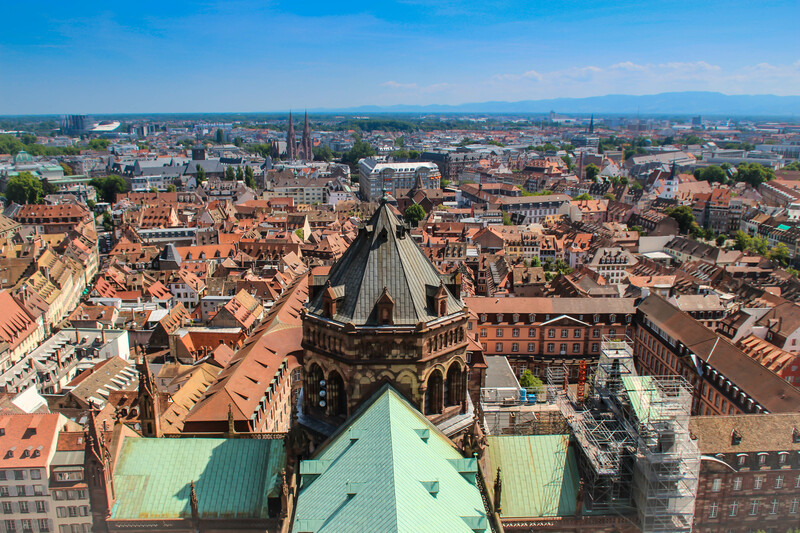 Strasbourg is actually a city in France, although it was a part of Germany before World War I. The EU Parliament is actually located in Strasbourg (I always thought it was in Brussels.) The people of Strasbourg are very proud to be French: all signs are in French, and most people do not speak German nor English. 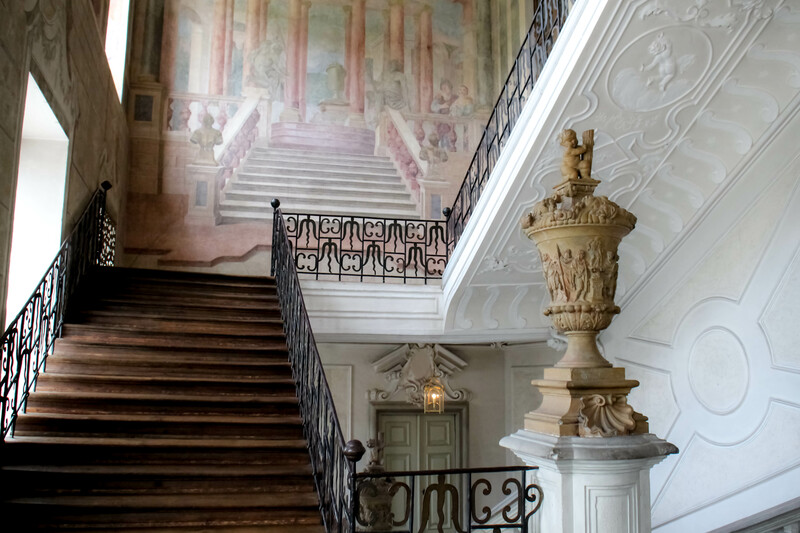 The architecture is also very French, and significantly different from most German towns. We went to the top of the church, which was quite a hike, but the view was amazing. 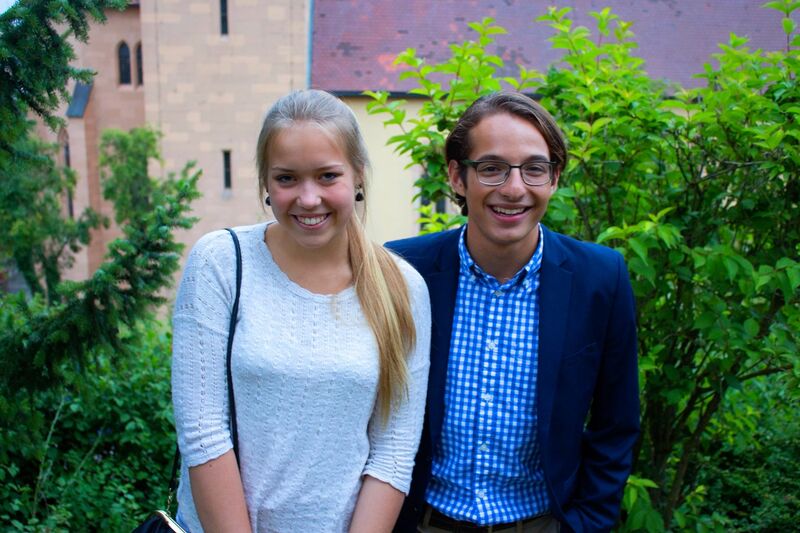 I then walked around for a few hours with one of the German exchange students: Hannes. We both had a shared love for fine watches and French pastries. 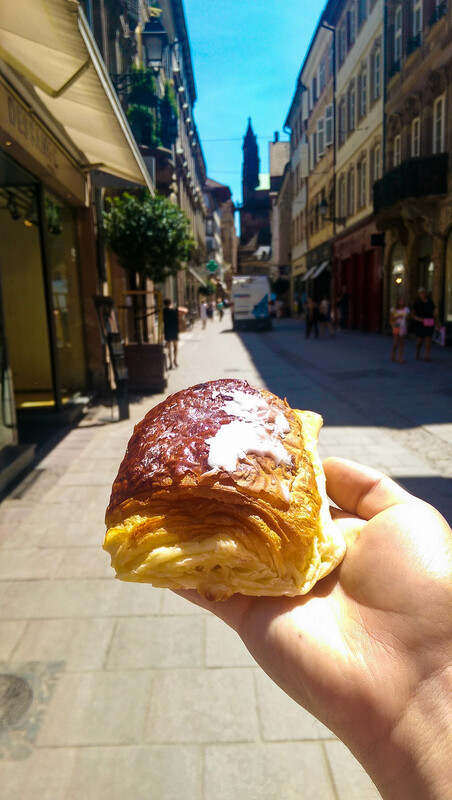 I ate four croissants that day, and it was worth it. 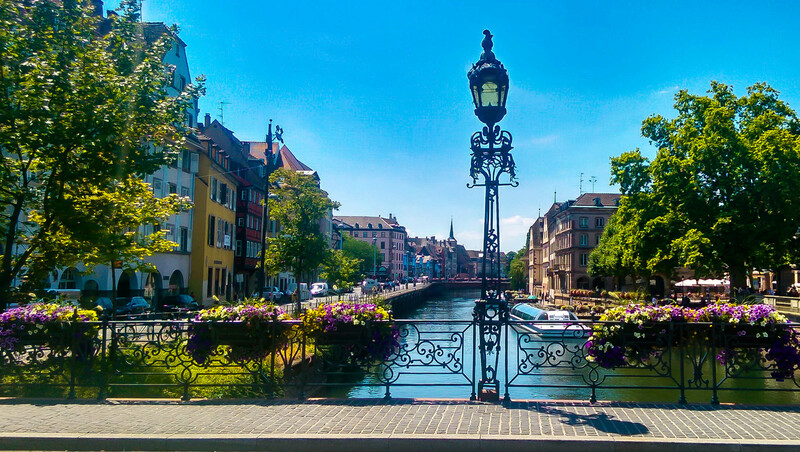 Strasbourg was such a beautiful city. I also went to Heidelberg, another town located along the Neckar river (Just an hour down from Heilbronn.) 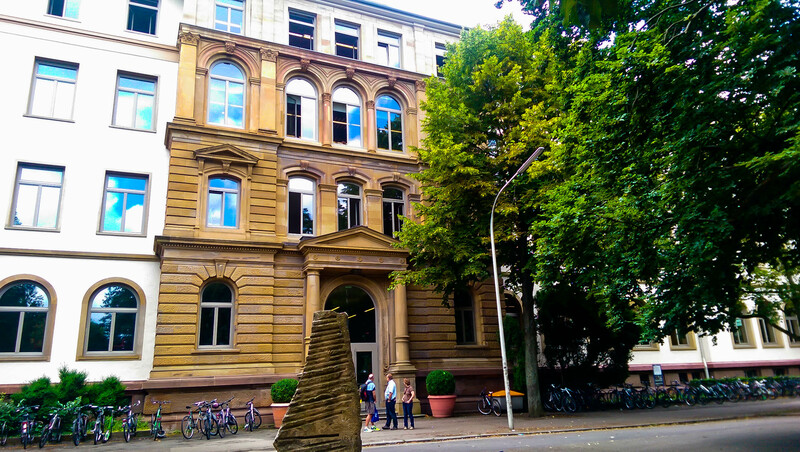 It is home to Heidelberg University, which was founded in 1386. Heidelberg also has a very long pedestrian zone, and a castle on top of a hill overlooking the town. 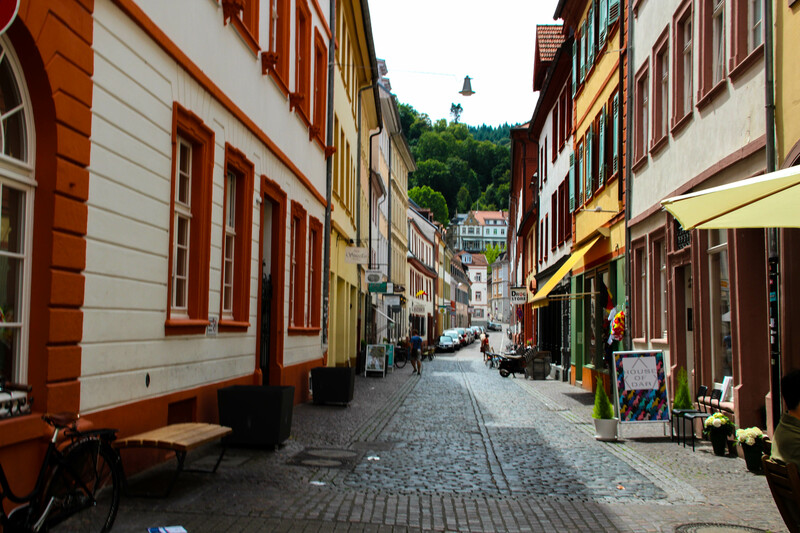 Heidelberg was the second largest city in Germany not to be bombed during World War II, so it gives a good impression of what things looked like in Germany before the war. 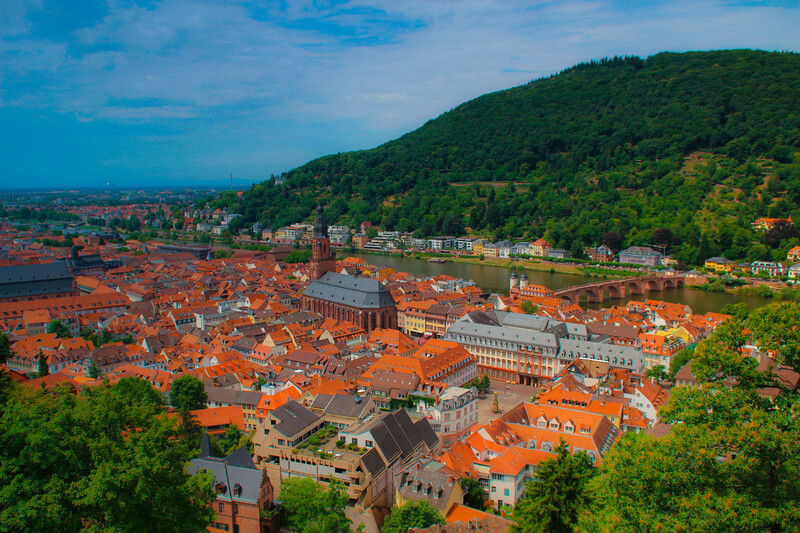 Unfortunately, because Heidelberg was untouched, there were many tourists around. This made it feel a little less authentic, and prices were fairly steep. It still was interesting to see old German architecture, and was definitely worth the visit. I actually was able to visit Stuttgart (the capital and largest city in Baden-Württemberg) twice on this trip. I visited the Sinheim Auto & Technik Musem with Anna’s fathers. 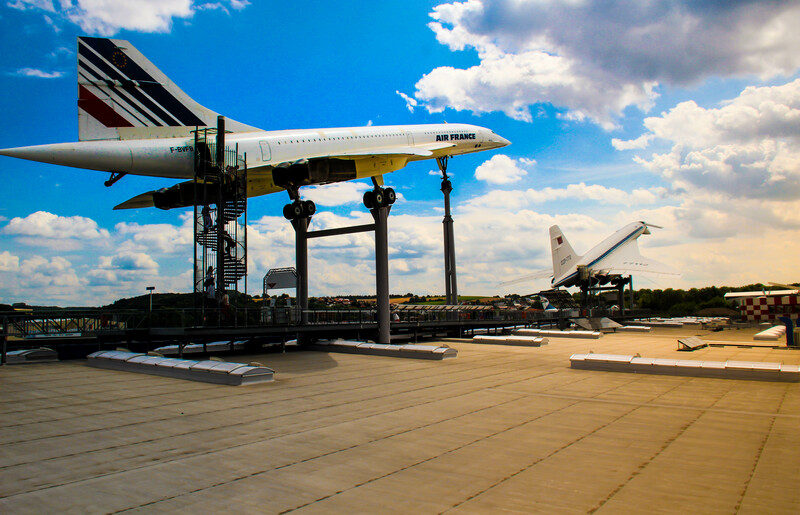 They had an impressive collection of World War II military vehicles, many other cars including Hitler’s Parade Car, and various planes including a Concorde and a Tu-144, the Russian knockoff. 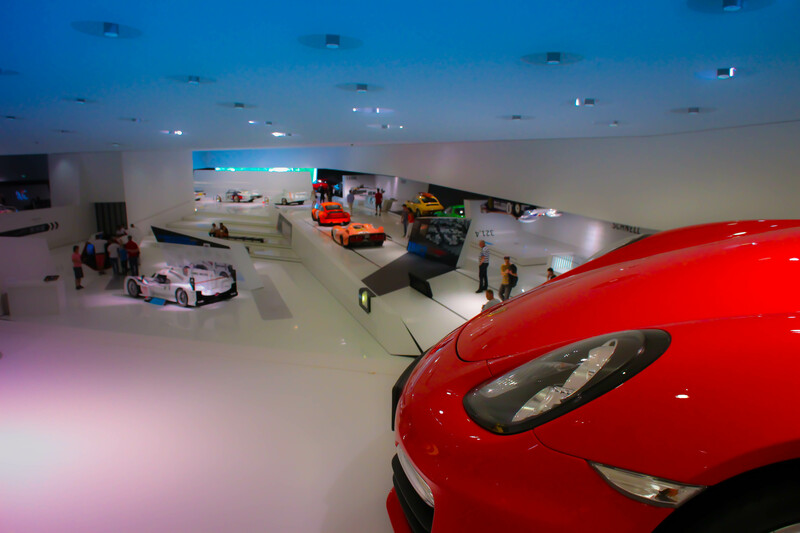 We then visited the Porsche Museum in Stuttgart (I’m a Porsche fanatic) and Stuttgart-Mitte. The Porsche museum was pretty cool; they had these tubes you would stand in that would vibrate and make sounds of all the different types of cars. A few days later we visited the Mercedes Museum and once again Stuttgart-Mitte. In this section I’m going to highlight some of the cultural and everyday life differences between the US and Germany. In Germany, students attend elementary school until 4th grade (although in some states it may be a different grade) where they are placed into one of three schools: Hauptschule, Realschule, and Gymnasium. One can only go to college directly if one completes Gymnasium. It is also possible to attend college after Realschule with additional schooling. 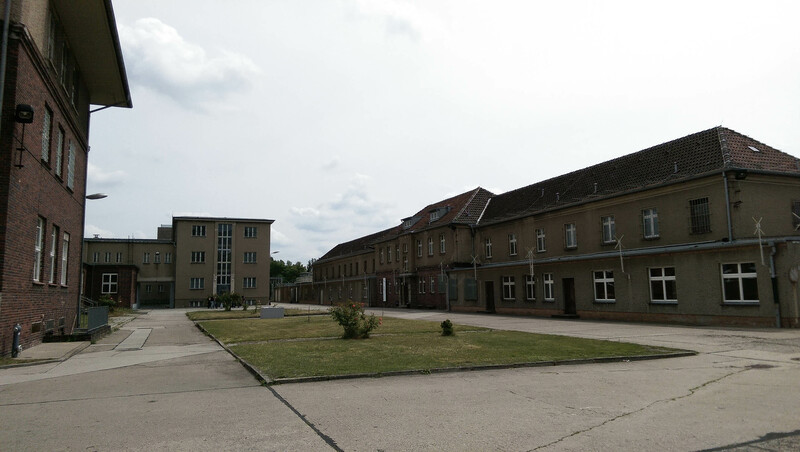 The school that I visited was Robert Mayer Gymnasium. Grades are on a scale from 1 to 6 (5 and 6 are failing grades) and from what I’ve seen, there is significantly less grade inflation in German schools. Also, unlike American schools, there are no clubs and sports, and very few school events. Students have block scheduling, and it is not rare for a student to be out by noon. Religion is also a class offered in the state run schools, which obviously would never happen in the US. Significantly less students in Germany attend college than in the United States. Many Germans participate in apprenticeship programs known as the Dual Education System. For instance, a student can be trained by Audi 2.5 days a week, and go to vocational school 2.5 days a week. When the student completes the program, they are a licensed auto technician and guaranteed a job at Audi. It was pretty hard for me to access whether school is harder in Germany than in the US. It’s just different. However, German schools seem to be churning out more capable graduates with more efficiency. The food in Germany was very good. One thing I loved about Germany were the biergartens. A biergarten is basically an outdoor area where you sit and drink beer or eat German food. I also enjoyed going to the Brauhaus where they brew their own beer. In Germany, they eat a lot more bread and meat than we do in the US, which is surprising because Germans are thinner than Americans. The bread was way better than in America, it doesn’t even compare. This is because bread and meat are bought fresh almost every day, where many Americans buy bread only once a week. In southern Germany it is very common to eat Bretzels and or Brötchen (rolls, usually pretzel rolls) with salami for breakfast. My favorite German food is Wiener Schnitzel, which is breaded deep fried veal usually served with fries. 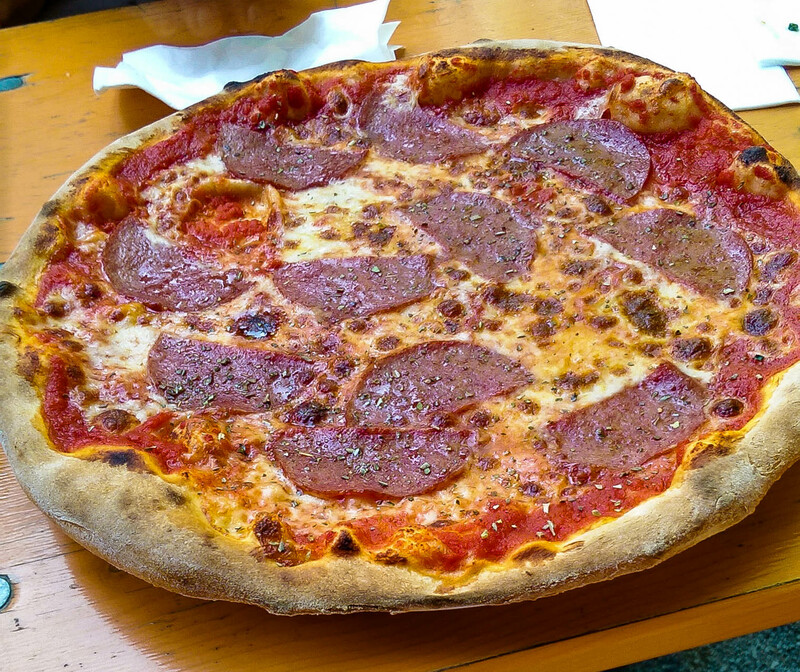 The local favorite is Flammkuchen which originated out of Strasbourg. It’s basically like a really thin Pizza with creme, onions, and bacon on it. In Berlin, I enjoyed eating currywurst, which is sliced up sausage with spicy ketchup and curry powder, usually served with fries and a roll. 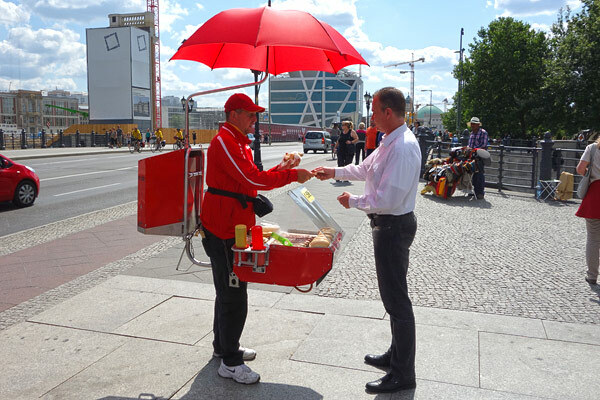 I also bought wurst in Berlin from guys called “Grillrunners.” They would stand with this contraption that held sausages, rolls, a grill, a gas burner and an umbrella. They would grill sausage and sell it for €1.20. There are also a lot of Turkish immigrants in Germany, and many Germans like to eat Turkish food. 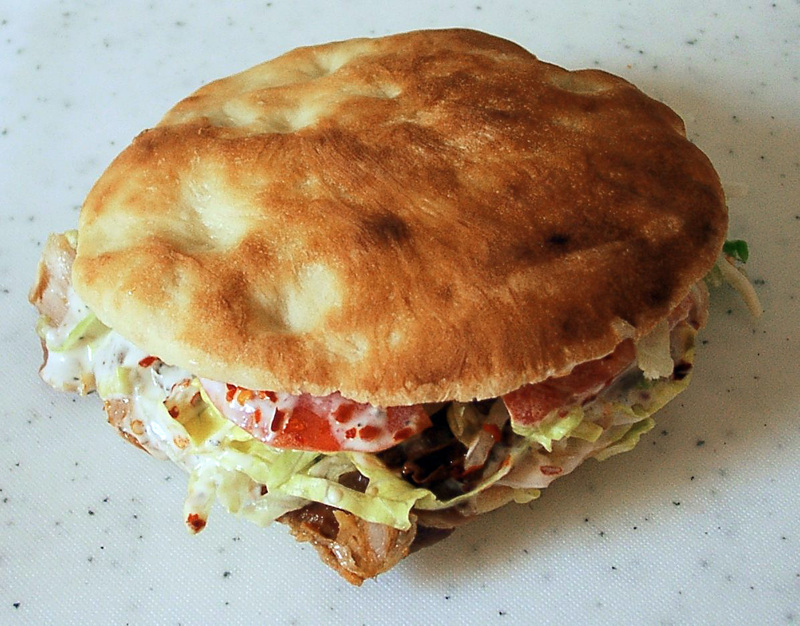 The most famous of which is Döner, which you can find everywhere. Döner is basically mystery meat (usually lamb but sometimes veal, beef or chicken.) with various vegetables and sauce. It’s pretty similar to gyros, just with a slightly different taste. America has influenced German cuisine as well. In nearly every town you can find Starbucks and McDonalds. Heilbronn had multiple burger restaurants. This confuses me, because I can find better coffee than Starbucks for half as much across the street, and currywurst tastes a lot better than McDonalds for the same price. Italian food was also significantly better in Germany than it was in the US. Probably because Italy is just a few hours drive away. Nationalism is a complicated issue in Germany. Many Germans I spoke to were perplexed by the way Americans hate their government yet love their country. In Germany, loving ones’ country is to love its people, culture, government and history. This presents a problem for Germans because they can’t love their history due to Nazism. They are scared of how the Nazis harnessed nationalism to seize power and ultimately brainwash many citizens. 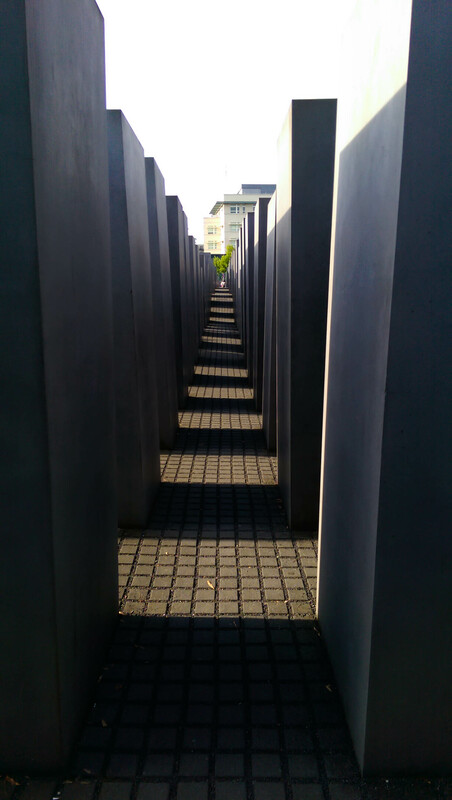 The holocaust remains a very touchy subject in Germany, as the older generations still feel guilty. Although Germany generally has freedom of speech, Strafgesetzbuch section 86a prohibits the “use of symbols of unconstitutional organizations,” particularly Nazi symbolism. As a result of the Third Reich, Germans show significantly less national pride than Americans. The first time I went to Germany with my family, I barely saw any German flags, other than at government buildings. Some of my friends tried to buy shirts as souvenirs that simply said “Germany” or had a German flag on them. They were unable to find any, but, they were able to find USA shirts, in Germany! When I was in Germany for the exchange, there was an abundance of German flags, but I was informed this was because of the World Cup. Still, when Youssef Bassai, an immigrant draped a huge German flag over his house for the World Cup, some Germans came and tore it down, twice. Still, Germany’s World Cup win may be changing things. After staying in Germany, I’ve really come to appreciate Soccer. It really brings people together. 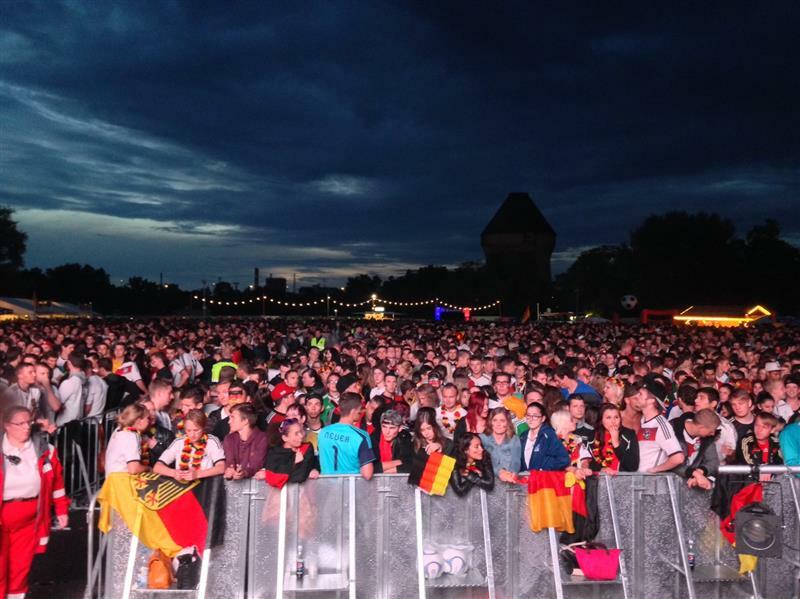 Every time Germany played, we went to the Fandorf, or “Public Viewing” in Heilbronn with thousands of others. The crowd get pretty rowdy, but it was always fun. I wore a USA flag to the USA vs. Germany game, and I was genuinely scared for my life. When Germany scored, someone dumped an entire beer on me. The night when Germany beat Brazil 7-1 it was absolutely unbelievable. After the game, everyone parties, and people drive around town honking horns and generally going crazy. Here’s a small clip after Germany won the World Cup. Sorry for the poor quality. In Germany the drinking age is 16 for beer and wine, and 18 for hard liquor. The driving age in Germany is 18. This system helps accustom German teenagers to alcohol before they begin driving. Alcohol in Germany isn’t as big a deal as it is in the US. Having a beer at a restaurant as a teenager is the same as ordering a coke. Due to the lower drinking age, German teenagers exhibit significantly more self control than American teenagers. The public transportation in the United States is one of the things that makes me want to punch myself in the face. This is probably because most people in the US opt to drive. This is not the case in Germany. Most German cities have multiple types of transposition. buses, U-Bahn, which connects points within the city, S-Bahn, which connects the city and the suburbs, and trams which basically are streetcars. 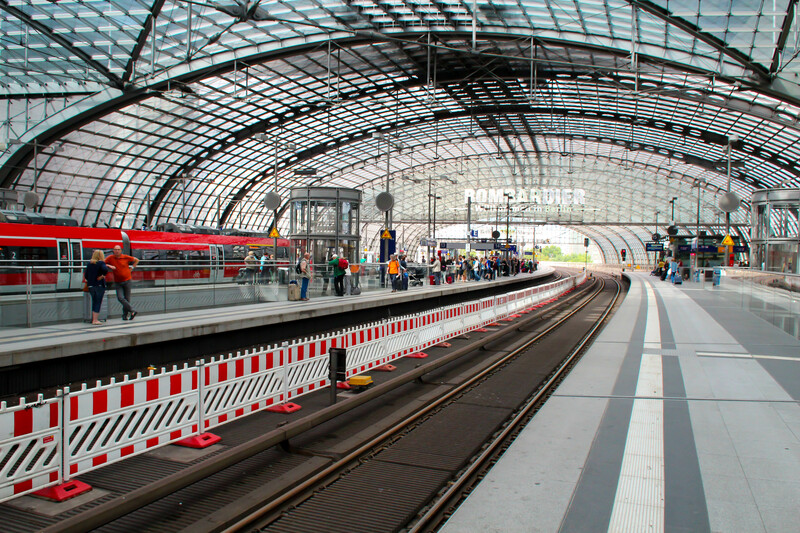 Unlike suburban rail in the US such as the Metra, the S-Bahn operates like an express subway, making many stops in the city before going to the suburbs. 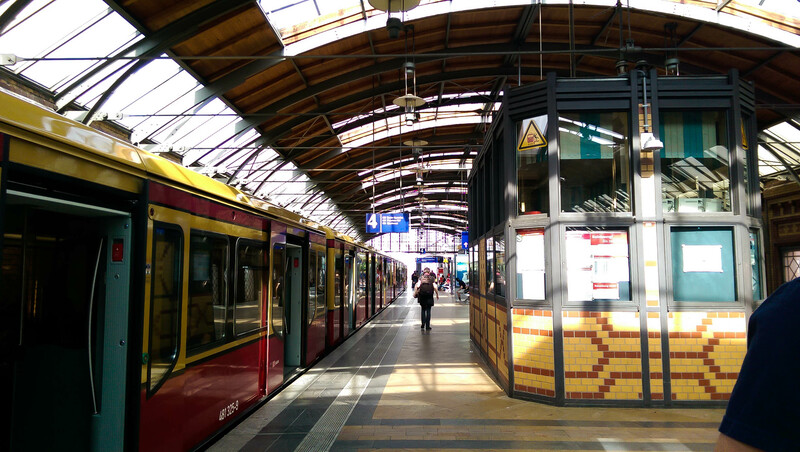 In order to board buses, the U-Bahn, S-Bahn or Tram, there are no turnstiles or ticket checks, one simply walks on. Once in a while an undercover employee comes around and checks if everyone has their tickets (its only happened to me once after riding public transpiration numerous times in Germany,) if you don’t have your ticket, you’re up for a huge fine. At major bus stations most buses arrive at the same time, making transfers easy. What also is interesting is that Deutsche Bahn (the majority owned government rail corporation) owns almost all of the public transpiration in Germany. The German rail network is also great. 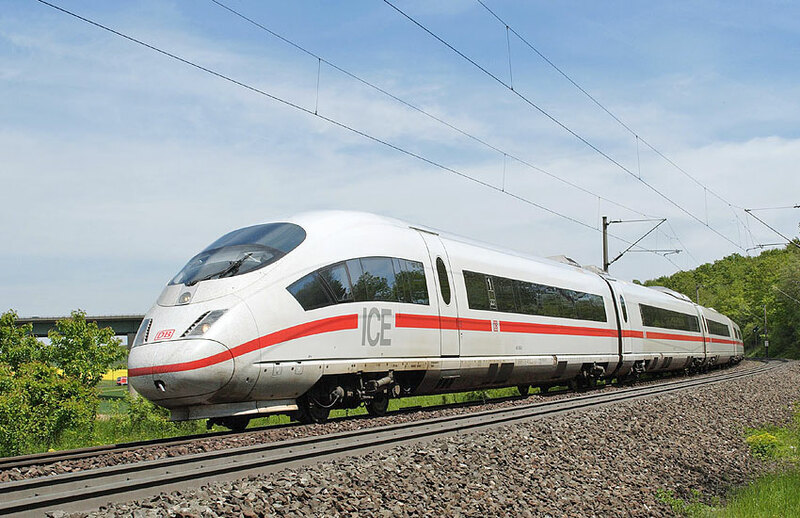 I got to experience taking ICE high speed rail to Berlin. At one point, we were traveling at 275 km/h (170 mph.) We really need high speed rail in the US. Then, people would actually take trains. The Autobahn is also really cool. Many sections of the Autobahn are electronically controlled, with speed limits changing due to road conditions and traffic. Of course, many sections have no speed limit, which is super cool. Nowhere else can you drive at 135 mph and not worry about police. The autobahn also has no billboards, and cars have less cup-holders. Germans tend to drive nicer cars and cars in better condition than in America. Gas in Germany also costs more than twice as much as in the US: $8 per gallon in 2013. It is significantly harder to get a drivers license in Germany than in the US. The minimum driving age in Germany is 18, licenses cost over $2,000, drivers must receive 25-50 hours of professional instruction and 12 hours of class instruction. Currently, the German economy is the largest economy in Europe and the fourth largest in the world. They are the third largest exporter in the world, and home to 37 Fortune 500 companies. German citizens also favor financial security more than Americans. Many Americans live month to month, where Germans tend to save more money. Unlike Americans, Germans tend to not invest this money in the stock markets. A lot more people smoke in Germany than in the US. You have to pay for water and sometimes it costs more than beer! You have to pay for public restrooms, and many stores don’t have restrooms. Buildings don’t have water fountains. There is a lot more litter in Germany, mostly cigarette butts. In Germany, the blinds (called Rouladen) are metal and on the outside of the window. They are remote controlled. Many more people have solar panels in Germany than in the US. The windows in Germany have three settings. They can be locked, opened horizontally, or cracked open vertically. A lot less buildings in Germany have air conditioning. Toilets have two flush buttons in Germany. In Germany, most doors have handles, in America most doors have knobs. If there are no parking spaces, people park on the sidewalk. 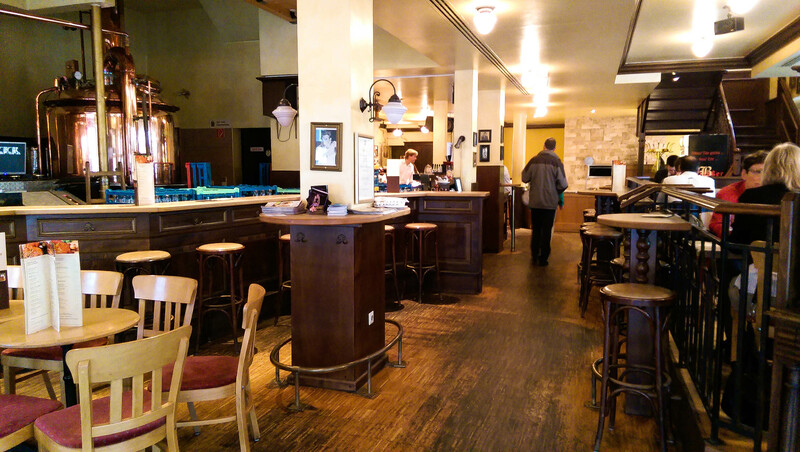 A lot less places have Wifi in Germany. In Germany you can bring your dogs everywhere; into stores, restaurants, on the train or bus. You get money, known as Pfand (or ransom) for returning bottles. At restaurants in the US, a host seats you. In Germany you can choose where you sit. You rarely tip at a restaurant in Germany. All restaurants apply a 19% service charge. Pizza is not pre-sliced in Germany. The first floor in Germany is the 2nd floor in the US. I had a great time staying with Anna and her family. Her mom was very gracious and patient when I struggled with my German. Anna was a great host and took me to really cool places. We saw random movies in German. We went to Wine Fest in Flein, and of course, to the Fandorf to watch the World Cup. Anna’s friends couldn’t have been nicer as well. They included me in everything they did while I was there. 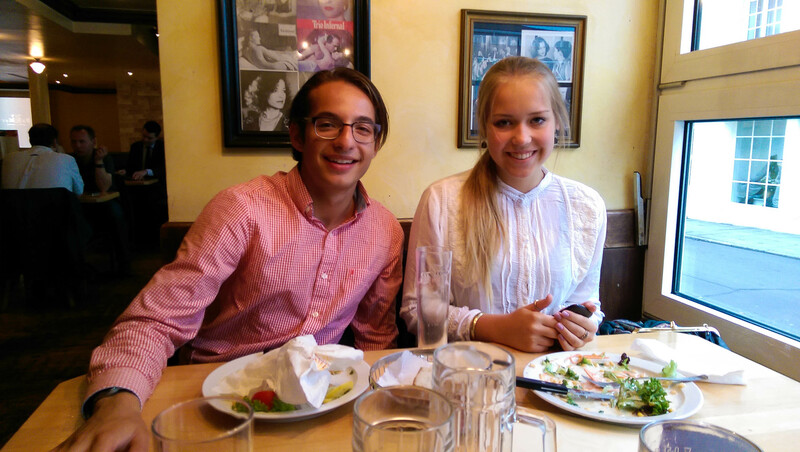 I went out to eat with them multiple times, and even attended a concert performed by her friends Peter and Daria. I had an awesome time in Germany. Thanks for everything Anna. As always, feel free to comment below. Thanks for reading! I enjoyed reading both of your reports. Hope to see you soon so you can tell me more about your trips.